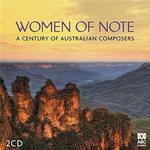 Women of Note : A Century of Australian Composers. 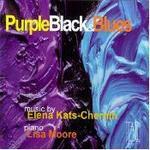 Purple, black & blues / Elena Kats-Chernin ; Lisa Moore: piano. Russian rag : clarinet & piano / Elena Kats-Chernin. Russian rag : for 11 instruments / Elena Kats-Chernin. Russian rag : [for 8 instruments] / Elena Kats-Chernin. 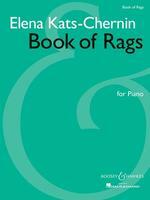 Russian rag : for piano trio / Elena Kats-Chernin. Russian rag : for clarinet quartet / Elena Kats-Chernin. 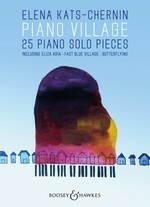 Piano village : 25 piano solo pieces / Elena Kats-Chernin. 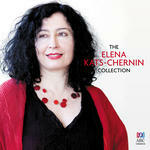 Russian rag : arrangement for clarinet, violoncello and piano / Elena Kats-Chernin. 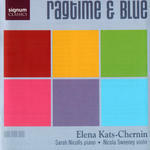 Russian rag : arranged for clarinet in B flat, cello and piano / Elena Kats-Chernin. Why not / Elena Kats-Chernin. After dinner music : for violin and piano / Elena Kats-Chernin. 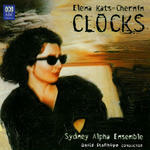 Clocks / Elena Kats-Chernin ; Sydney Alpha Ensemble. 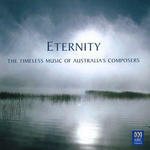 Eternity : the timeless music of Australia's composers. 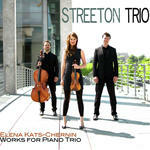 Works for piano trio / Elena Kats-Chernin ; Streeton Trio. 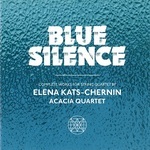 Blue silence : complete works for string quartet / Elena Kats-Chernin ; Acacia Quartet. 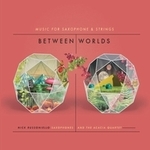 Between worlds : music for saxophone & strings / Nick Russoniello and the Acacia Quartet. 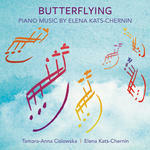 Butterflying : piano music by Elena Kats-Chernin / Tamara-Anna Cislowska, Elena Kats-Chernin. Russian rag : for string quartet / Elena Kats-Chernin. 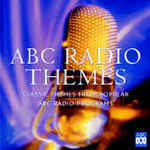 ABC radio themes : classic themes from popular ABC radio programs. Unceremonious processions : 15 short studio pieces (1999) / Elena Kats-Chernin. Selected works for theatre / Elena Kats-Chernin. 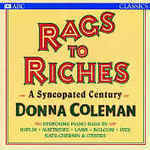 This piece was originally written in 1996 for a pianist Donna Coleman, as a commission from ABC Classics, for her CD "Rags to Riches". It was my first ever Ragtime and it has a slightly nostalgic feel, with a slight reference to Russian Cafe Music. Written in a rondo form. Kit: Clocks : the music of Elena Kats-Chernin / devised by Stephen Lalor. Unknown date: featuring Omega Ensemble. 4 May 2019: at 'Everything I Touch' Concerto for Flute and Chamber Orchestra (Sydney Opera House, Utzon Room). Featuring Hourglass Ensemble. 25 Sep 2018: at Joy: Kats-Chernin, Farrenc & Beethoven (City Recital Hall Angel Place). Featuring Omega Ensemble. 28 May 2018: at Have Clarinet, Will Travel (fortyfivedownstairs). Featuring Ed Ferris, Stephanie Arnold, Morna Hu. 28 May 2018: at Bohemian Rhapsody in Blue (Melbourne Recital Centre, Elisabeth Murdoch Hall). Featuring Ensemble Liaison. 23 Jun 2017: at Twilight Musical Dialogues - Russia (Adamstown Uniting Church). Featuring Tamara Anna Cislowska, Sally Walker. 6 May 2017: at CIMF 2017: Russian Roots and Rags (Fitters' Workshop). Featuring Elena Kats-Chernin. 6 Dec 2015: at Hansel and Gretel (Sydney Opera House, Utzon Room). Featuring Victoria Jacono-Gilmovich, John Martin. 8 Mar 2015: at All About Women (Sydney Opera House, Utzon Room). 25 Oct 2014: at Elena Kats-Chernin & Tamara-Anna Cislowska (Joan Sutherland Performing Arts Centre). 11 Oct 2014: at Ensemble Liaison (Reardon Theatre). Featuring Ensemble Liaison. 31 Aug 2014: at Between Worlds (Mosman Art Gallery and Community Centre). Featuring Acacia Quartet. 28 Aug 2014: at Between Worlds (Australian Hall). Featuring Acacia Quartet. 10 May 2014: at The Vessel (Fitters' Workshop). 12 Aug 13: Pitt Street Uniting Church, NSW. Featuring Streeton Trio. 12 Aug 2013: at Streeton Trio - concert and CD Launch (Pitt Street Uniting Church). Featuring Streeton Trio. 16 May 2013: at Free Lunch Concert No 3 (Wagga Wagga Baptist Church). 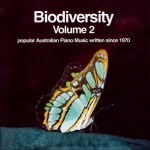 Featuring Damien Johnson, Catherine Holland, Geoffrey Xeros. 6 Mar 2011: at Elena Kats-Chernin (Verbrugghen Hall). 18 Jul 2010: at Masterworks (Gryphon Gallery, University of Melbourne). 12 May 2010: at Clarity Clarinet Quartet: A revised history of the clarinet (Theatre Husk, Melbourne). Featuring Andrew Seymour, Samantha Kelson Gray, Lisa Clarke, Nicole Canham. 1 May 2010: at Fisher's Ghost Youth Orchestra (Campbelltown Arts Centre). Featuring Fisher's Ghost Youth Orchestra. 24 Nov 07: Joan Sutherland Performing Arts Centre. Featuring Omega Ensemble.